China’s top two producers of the battery ingredient are revving up $1 bln listings in the city. Both offer a bet on the electric car boom. But Tianqi’s quality resources give it a narrow advantage over processing giant Ganfeng, at a time when investor confidence is wobbling. 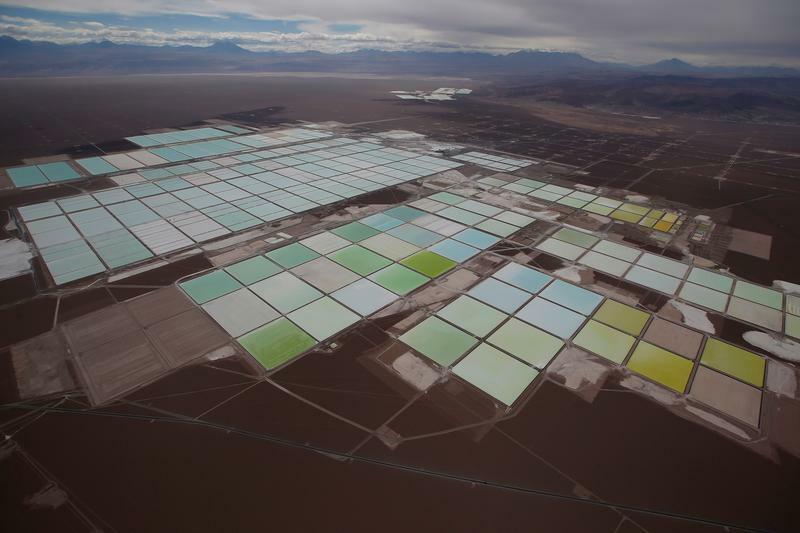 An aerial view shows the brine pools of SQM lithium mine on the Atacama salt flat in the Atacama desert of northern Chile, January 10, 2013. Picture taken January 10, 2013. Ganfeng Lithium, one of China’s largest lithium producers, filed a draft prospectus for a Hong Kong share sale on Aug. 30. The company aims to raise around $1 billion, IFR reported, citing sources close to the deal. Ganfeng is already listed in Shenzhen. Tianqi Lithium filed a draft prospectus for a Hong Kong listing on Aug. 20. Two people close to the deal told Reuters that the group was looking to raise up to $1 billion. It plans to use proceeds to partially repay debt incurred in the planned purchase of a nearly 24 percent stake in Chilean heavyweight SQM, according to the document. Tianqi is also already listed in Shenzhen. The China spot price of lithium carbonate, a compound used to make rechargeable batteries, has fallen by 50 percent so far this year. Citi is the sole sponsor for Ganfeng’s listing, while Morgan Stanley and CLSA are joint sponsors for Tianqi.